The team at Pepper Racing couldn’t have asked for a better start to the 2018-19 Trainers Premiership in NSW as they look to continue the momentum throughout the year. 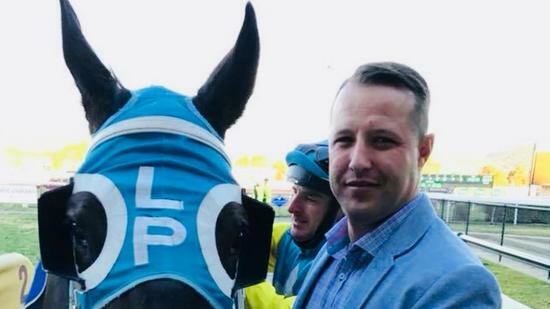 Luke Pepper sits in the Top 20 overall for NSW Trainers striking at almost 20% winners to runners and with his numbers on the steady increase looks set to maintain his Top 10 position in the Country. Those who support the stable closely would know that these are statistics that generally represent the hard working stable from Canberra and we couldn’t be prouder of our horses. The first 3 months of the season has seen the team clock up nine individual winners at eight different venues indicating the horses are being well placed and thriving in work. The highlight reel continues to consistently filter through the results page and we can’t wait for the return of the big gun VICEROY as he looks to make his presence felt in the coming months. Luke has commented “I’m really happy with the start of the season and would like to thank my clients and dedicated team for keeping the positive results rolling along. The calibre of horses in the stable is better and with the next generation coming to hand the future looks bright. We hope to make a return to the TAB Highways in the coming weeks and if BANK OF ERIN can win at Albury she will be backed up in the C3 (1100m) at Randwick on the 20th October”. Thankyou for supporting Pepper Racing as we look to eclipse the 40 winners marker in 2018-19.